I recently just gave birth to my first child, a precious baby boy that has quickly taken center stage in my life. I could spend all day everyday relishing in him and our new life but I am also trying to learn how to balance self-care while taking complete care of another life. Literally keeping a whole mini human alive! Let’s face it: post-delivery is magical, yet utterly exhausting. Our life is completely re-adjusted, our body needs nurturing and healing, we are trying to function on little to no sleep and take care of all the other things. It can be, well, exhausting! Baby Outfit = BabyGap Mama Outfit: Joie How long can I keep twinning our outfits :)? 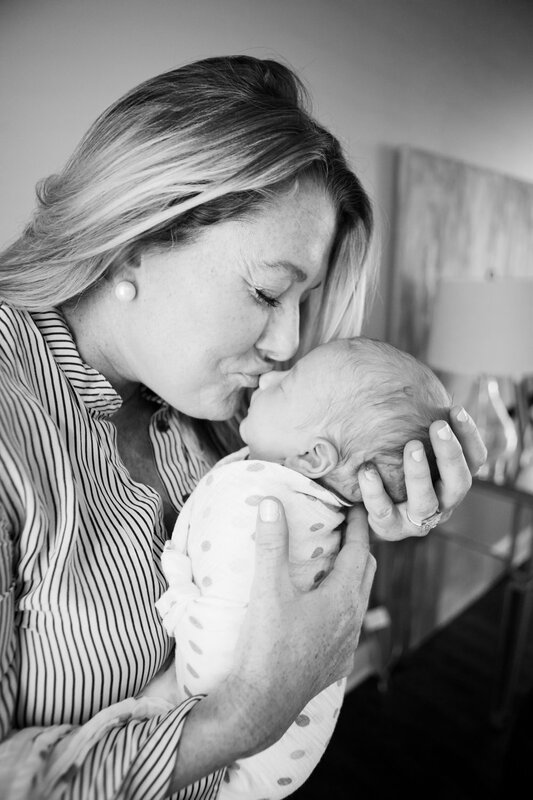 Even though you get plenty of time with your sweet baby at home, it is tremendously important to carve out special time to bond with your baby. Going to yoga and stretching with them, getting to know each other in a different way, and creating boundaries for comfort and safety can increase how connected you feel with your little one. Doing a “mommy and me” style of yoga class can help you ease back into a regular yoga practice as well as bring you tremendous benefits. With all that you have going on, odds are you haven’t been able to exercise as much as you used to, sleep as much as you’d like, or stretch as much as your body needs. Carrying and feeding a baby puts strain on our back and neck.Sleepless nights cause aches and pains. It’s important to stretch and tend to our muscles so that we can bring balance, strength, and increased energy levels back into our lives. 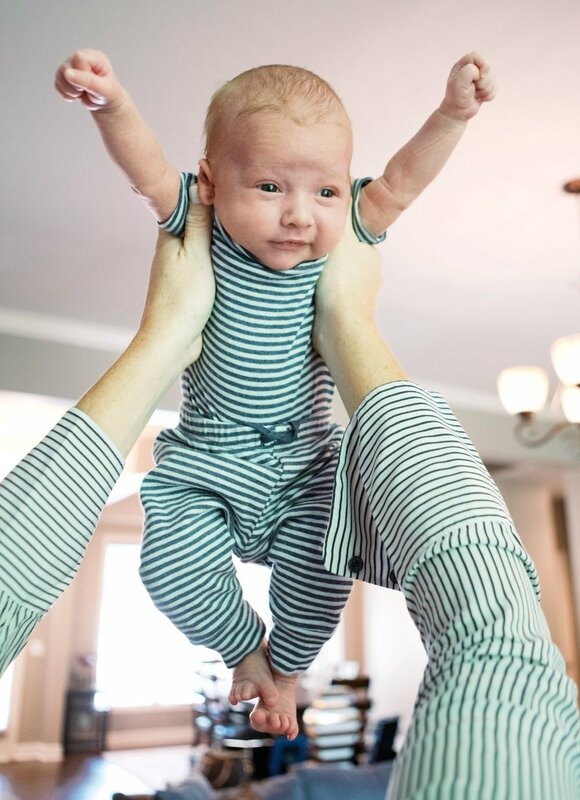 Yoga stretches can help the baby with so much more than a long night of sleep: it actually aids the digestive system. This means that attending yoga with your baby will help encourage healthy digestion, decrease constipation, gas, and colic. Babies begin to calm during class as their bodies start operating more efficiently and smoothly, eventually putting them to sleep. Being a new parent can be an anxious and stressful time for a lot of parents. Having the chance to go to yoga will encourage parents to nourish their mental and physical bodies so that their experience of being a new parent as a whole is more relaxed, peaceful, and intuitive. The wonderful thing about these classes are that they are specifically designed for new parents. This means that while attending the classes, you will be connected with other new parents that are going through the same thing as you are! This will build a strong support system around you and give you people who can connect intimately with your experiences. Grab your mat and your sweet new baby and find a yoga class near you...if you can! I've found it very hard to find any near me. Let me know if you'd like me to create some Mommy & Me class videos for you?